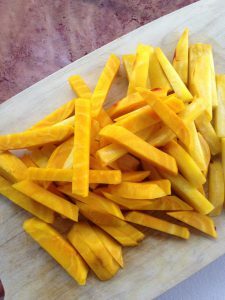 Even round golden beets can be sliced into matchsticks the size of fries. What if we told you that there is life beyond white potato fries? Or even sweet potato fries? Your plate could be laden with crispy goodness from a whole array of root vegetables, most of which have more flavor and healthful, cancer-fighting and immunity-boosting phytochemicals than white potatoes. And you can make them all from the comfort of your own home in about 15 minutes of active time (plus cooking time). 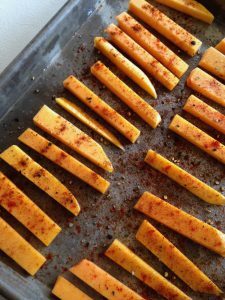 Toss your fries with oil and spices, and lay them on a single sheet on a cookie sheet. Scrub the root vegetables clean, leaving the skins on. Dry them with a towel. Slice the vegetables into sticks about 1/4″ thick, and place them in a bowl. Drizzle or spray the oil over the vegetables, add the spices, and toss the vegetables until well coated (add salt after roasting to enhance fry crispness). Place the vegetables in a single layer on a cookie sheet. Feel free to sprinkle additional garlic, paprika, and chili powder on the fries. Bake the fries for about 30 minutes, turning halfway through, and continue baking until the fries are soft when pricked with a fork and have a crispy crust. Serve the fries with salt and pepper as a side to a healthy meal that includes a fresh salad and meat grown by local farmers and ranchers. 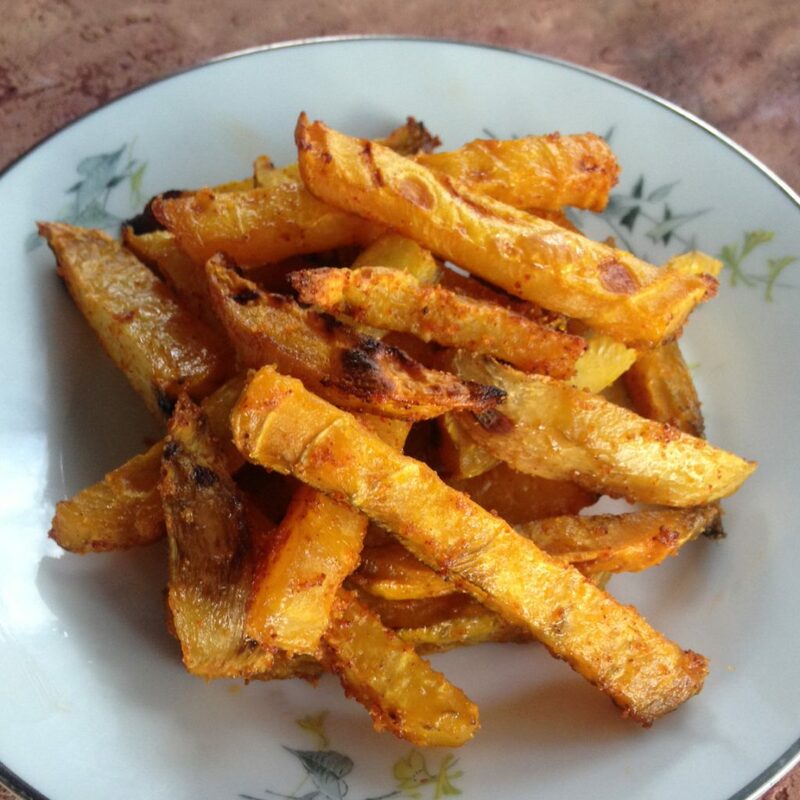 Bake the fries until they are soft when pierced with a fork and are crispy.